Rotaract stands for ‘Rotary in action’. It is an international volunteer service organisation for young adults that is non-political and non-denominational. Rotaract began as a Rotary International youth program in 1968 for students and professionals between 18-30 years old. There are currently over 300,000 Rotaractors in about 10,000 clubs throughout the world. Rotaract Clubs are sponsored and supported by Rotary clubs; but run and fund the club themselves. Beyond the club, all Rotaract and Rotary clubs belong to districts. For Rotaract, the district is overseen by the District Rotaract Representative and district committee that includes a Rotarian as the Rotary Rotaract Chair. Rotaract in Australia is also supported by the MDIO (Multi District Information Organisation) Rotaract Australia that offers communication and information to do wider activities such as the annual Australian Rotaract Conference and Rotaract Games, and to fundraise on a larger scale with the national project Rotaractors Against Malaria. 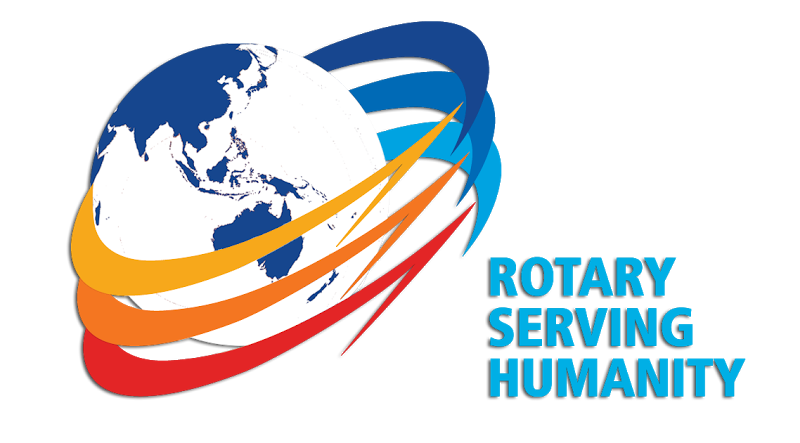 Beyond Australia are opportunities to network and socialise, such as Asia Pacific Regional Rotaract Conference and Rotaract PreConvention at the Rotary International Convention; or even go on a Rotaract trip. Rotaract focuses on fellowship and service through four avenues: club service, community service, international service and understanding, and professional development. Have fun, build friendships, and gain experience in managing people and marketing Rotaract! Social: we have fun together with dinners, movie nights, camping, raiding other clubs and more! Membership: we actively work to welcome new members and look after the members that we have. Marketing: letting the world know we’re here is an important and ongoing activity that you can be a part of! Opportunity to work together to address the needs of our local and international community through fundraising and hands-on active volunteering of our time and expertise! Learn about the work Whitehorse Rotaract does to make the world a better place. Rotary has 6 areas of focus to maximise the local and global impact in the work we do. There are also opportunities to do overseas service projects by partnering with a Rotaract Club in another country or through Rotary Australia World Community Service (RAWCS). Opportunities for training and experience! Leadership skills: Take on official roles within the club including being elected onto the board (learn more about club roles), or lead the organisation and running of events. Vocational skills and career development: Attend, organise and take part in opportunities to learn about communication, mentoring and career planning, public speaking, and more. Bonus skills: budgeting; goal setting and planning; writing agendas, minutes and reports; conflict resolution; and chairing meetings. Other Rotary programs: such as Rotary Youth Leadership Award (RYLA), an annual 6 day seminar sponsored by Rotary. Rotaract is governed by a statement of policy, constitution and by-laws. Whitehorse Rotaract hold general meetings twice a month to discuss business: what we have done, are doing and want to do. Sometimes we have guest speakers, host themed meetings, or go out and visit a community organisation or vocation. Meetings are free to attend, and we strive to be inclusive of all budgets when planning events. Meetings are only a small, but integral, part of what we do. We regularly partake in activities and rosters to assist various community groups and fundraising. You don’t need to be available to attend all the events we plan together, but you get out what you put in! ROTARACT IS WHAT YOU MAKE IT! Everyone has their own ideas and inspiration, connections and interests, that they bring to Rotaract. To be eligible to be inducted as a member, you must prove your commitment, show quality of character and be between 18-30 years old. Once you satisfy the requirements of the club, the club will invite you to apply to be a member and then the club needs to approve the application. There is a small annual membership fee to cover the costs of running the club as all community funds raised go back to the community. Do you like the sound of good fun and great volunteering and opportunities? Please contact us to get involved.